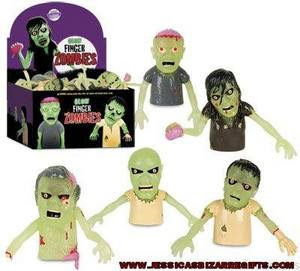 Zombies And Toys: New Zombie Toys! The Zombie Toy Store continues to grow and if you haven't checked it out in a while go have a look. 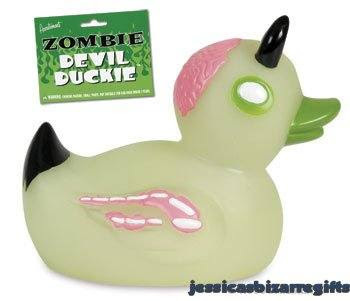 We have added some new novelty items such as the Zombie Devil Duckie, Zombie Finger Puppets, and Remote Control Zombie. There's the cute zombie-ish Deady the Bear keychain. And we have added an "Art Toys" section that will continue to grow and features items that should appeal to your zombie loving side. The biggest news, however, is the arrival of Zombies & Toys' first exclusive! Working with October Toys, there is now an exclusive pink color of their great Z.O.M.B.I.E. toys. Even better? They glow red in the dark! The only place to get them is at the Zombie Toy Store. They are limited to only 200 sets so don't delay for too long. Labels: October Toys, toys, Z.O.M.B.I.E. Oh I love those, glow in the dark red!! Hey dude, are you stocking these yourself or are we better off going to the respective sites? These particular toys are only available through my Zombie Toy Store. Not even October Toys is selling this colorway. I stock most of what I write about in the store. Just click the image of the zombie with shopping cart on the right to go to the Zombies & Toys' Zombie Toy Store.